…unless the name of the company is “Baby Is In Things”?! also okay if it’s the “in thing” for a baby (“Baby’s ‘in’ thing”). anyone else make that connection? 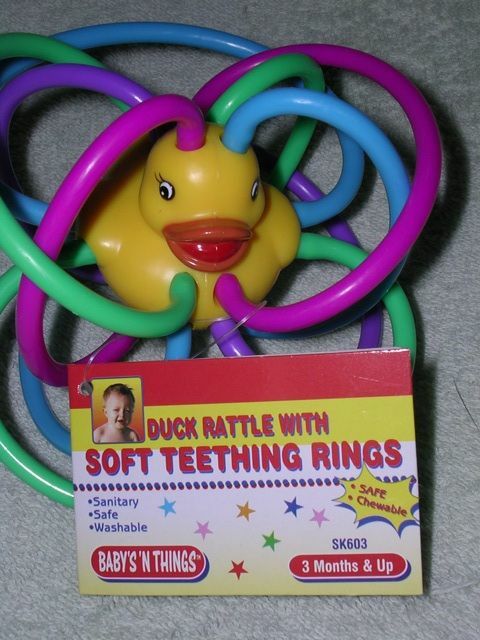 I agree – that is very spooky – I do not think I would want my baby playing with it. It is like an alien duckie. That duck kind of scares me!